Yesterday I was reminded by a nice poem that WordCamp Europe 2018 is 50 days away. Woot woot! but we can already hit the drum. that today marks 50 days until the show. hey, you don’t want to miss the day. and get ready to see Belgrade’s lights. WordCamp Europe and WordCamp US are what we consider flagship events and are always a great opportunity for teams to get together, contribute and onboard more people. There are going to be a whole lot of us present and we should take advantage of that and maximize our time together. The Community Room will be open all day on both days of the main conference. It is located just off the area where both the Get Involved table and the Happiness bar will be set up, so is the perfect place to take any longer conversations that start there over to. The room will be set up with tables and chairs as well as some more comfy seating. Any Make groups who want to continue work in this space left over from Contrib day can. If you think some paperboards or whiteboards might be useful, let us know, we can probably work something out. Note, like last year, Contrib Day is the day *prior* to the conference. So the Community Room is thought of as carry over from Contrib day as desired. It won’t be a restristed space either – someone who needs to take a work call or shoot off some emails or whatever would be welcome to hang there. This room is not “mandatory” for any team, it’s meant to be for people who’d like to continue contributing, or who weren’t able to attend Contributor Day, or haven’t heard of Contributor Day, etc It is mostly to create bridge between conference days and Contributor Day and to generally increase awareness for contributing to the project. As we did last year, please add in the comments ideas and suggestions for tasks we could work on together while in Belgrade and ideas for the Community Room: again, presence there is not mandatory, so there is no pressure to “staff the table”, but it is definitely a great initiative and we could think of something cool for it as well. Deadline to comment is May 18 so we can discuss this during the next two Community chats: after that date I will summarise in a post (like the one we had last year) and we will go from there! I really want us to track progress on all the awesome things we do. making process diagrams for processes described in our handbooks. Ooh, ooh, and adding email templates for responding to life-threatening allergy and a11y needs notifications to the handbooks. 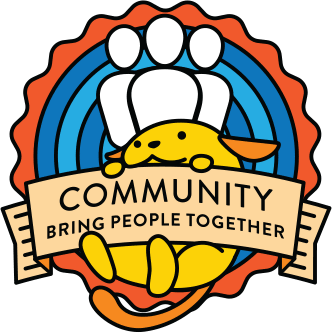 And something to bring awareness to the WordCamps of the existence of the diversity outreach speaker training, that is helpful to their camps. ^— I have all the notes to give to someone to just write up as a full article.